Stella lost everyone and everything important to her. After all the lies and hiding, she's ready for a fresh start somewhere where her brother’s enemies won’t find her. One last night out turned into her worse nightmare. The morning she should be moving away from all the painful memories, she finds herself a captive by exactly who she was running from. Atlas is determined to finish what they started. Stella is unknowingly the key to solving the unanswered questions her brother left behind. Taking advantage of their sexual chemistry at the club, he forced her to his lake house. He promised her protection but Stella made a promise of her own: Trust no one, especially the man responsible for ruining her life. 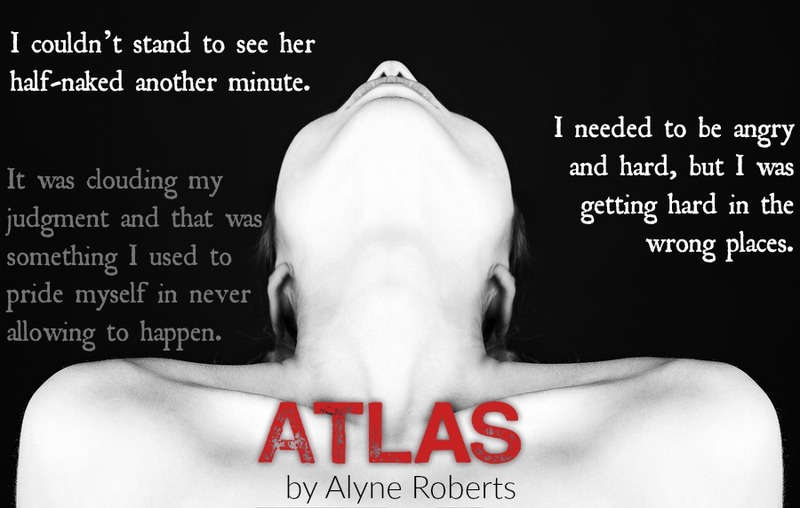 What happens when Stella’s life depends on trusting Atlas? What happens when keeping Stella is risking everything he worked for? What if neither one is willing to let go? Stella has lost everyone and everything important in her life. After all the lies and hiding she finally decides to put the past behind and is ready for a fresh start somewhere where her brothers enemies won’t find her. However, one last night out with her best friend turns into her worst nightmare, she finds herself held captive by the one thing or should that be person she was running from. Atlas is dangerous, violent and determined to finish what they started and get his revenge. Stella is inadvertently the key to solving the unanswered questions her brother left behind. Taking advantage of their sexual chemistry he will do anything he can to get those answers. Would recommend for fans that enjoy a slightly darker read. We clashed together like a tragic wreck. It was wet and hard, his lips taking mine and crushing them. I moaned into his mouth and his grip on my throat tightened. The pressure wasn't enough to cut off air, but I felt his touch and no one else's. Atlas kissed like he lived. He was powerful and forceful, taking whatever he wanted. His tongue parted my lips and I opened to him. I felt the rumble in his chest when he tasted me. His hand squeezed tighter and I welcomed the pleasurable pain. It was exciting and daring at the same time; a toxic mixture. I squeezed my knees together, pinning his hips between my shaky legs. His body was hard and hot on mine. Atlas grabbed behind my knee and pulled, making me slide down to the floor. He never once released my lips as he lowered me to the floor and hovered over my body. The tile was cold on my back, cooling me down as I was burning up. I could feel him all over me, although he was only touching my lips and neck. He devoured my mouth and I let him. If I could remember these touches and this moment in the house, maybe I could keep my sanity. Something less devastating to concentrate on and relive in my memories. Growing bold, or impatient, I put my hands on his shoulders. The muscles flexed under my palms, and I loved the powerful feeling. His hand tightened on my throat when I dug my nails into his back. Atlas was holding back and restraining himself. I could feel it in his body. He could easily break me into a thousand pieces. "This is a bad idea, Little Star," he said with his lips brushing mine. "I will hurt you. That's what I do." "I'm already hurt," I whispered back. Atlas pulled away to look down at me. He took in my lips that were red and swollen from his kisses. My neck that was under his hand, covering any marks. He watched my chest heaving and panting under my wet shirt. Without warning, he gripped the neckline with both hands and tore the shirt down the middle. He pulled it open and lowered his lips to the skin between my breasts. I gasped when his tongue tasted me. I squirmed under him, but he pinned me with his body. I was trapped again. No matter what I did, Atlas had me trapped. I'm wasn't sure I cared at that moment. "You think I can make you feel better?" he asked, his mouth trailing down my stomach. I couldn't answer him. I didn't know if I thought I would feel better. I might feel numb. I could feel less angry. Was someone who only brought me pain and fear capable of taking away those feelings as well? Even he said himself, he hurts. All I knew was that right then, I didn't feel any of that. I opened my eyes and watched as Atlas licked and sucked his way back up my stomach. Out of the corner of my eye, I saw the glint of metal on the floor. His gun.